Cute and lovely light in quality blouse from KAFFE. The blouse has elegant ¾ sleeves with width, which adds a feminine touch. Furthermore, it has a regular fit, a round neckline with button closure at the neck and a v-neckline on the front. 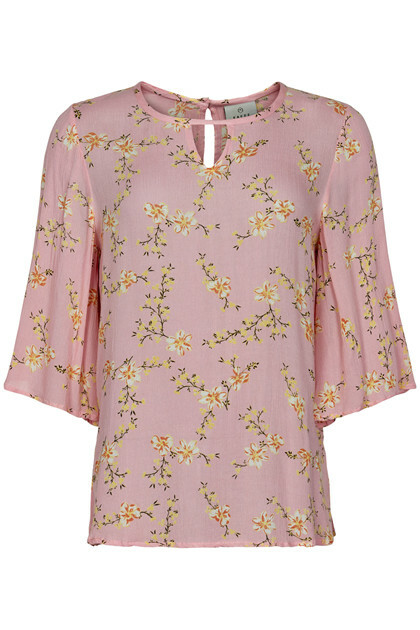 The blouse is very comfortable to wear and has a trendy floral print. Perfect blouse, for any occasion.